this is a custom Flying Floaty Fish for Luc’s 10th birthday. Really awesome artwork by Mark Longnecker at Endless Summer Tattoo in Cocoa Beach. 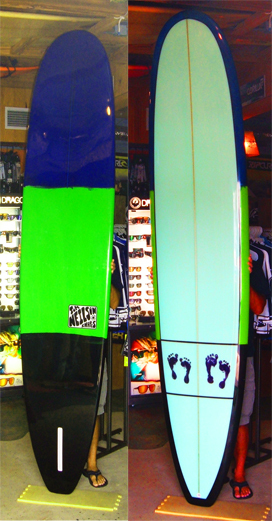 Here’s a shot of Matt’s new 9’4” Hawaiian Classic. custom all the way with both bells and whistles ! Four color lamination, polish gloss, resin pin line and his two girls’ foot prints ! i think it’s a keeper ! 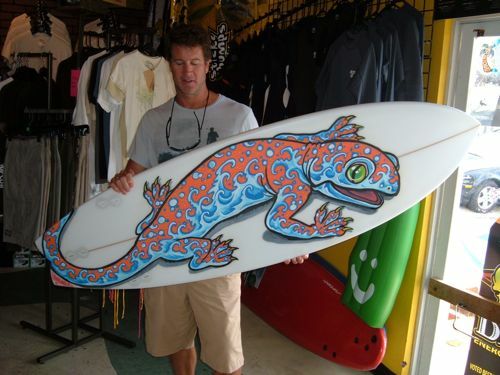 Tom donated this board to a good cause. here’s the details. maybe you can help out. don’t crash and burn. there might be more swell coming ! 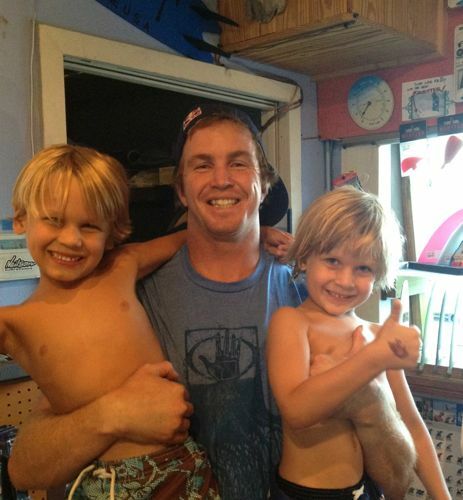 a big thanks to the Body Glove team for stopping by our little shop the other day. we have a bunch of new body glove tops and spring suits in. its never too early to get geared-up for fall.